It’s nearly half a year since the Oxford published its first Annual Admissions Report, which made headlines in University and national circles for the disparities in the demographics of students admitted as undergraduates to Oxford. Less than a month after the report’s publication, a community of Black, Asian and Minority Ethnic (BAME) Junior Common Room (JCR) presidents published a photograph recreating an older snapshot of the Bullingdon Club, distributed to reaffirm that minorities do indeed belong and contribute powerfully to the University ecosystem. Four months on, we now speak to some of them about the inclusion landscape as it currently stands at Oxford. Manish Binukrishnan, current president of Brasenose JCR, is a third-year Economics and Management student; Carolina Earle, outgoing president of Pembroke JCR, is a third-year History and English student; and Ebrubaoghene Abel-Unokan, current resident of The Queen’s College JCR, is a second-year English Language and Literature student. Discussing this brings us to one of the most popular PresCom initiatives the Oxford community has experienced thus far: the #PresidentsOfColour initiative that saw BAME JCR presidents recreating a photo of the Bullingdon Club in response to Oxford’s recently-released admissions statistics. I ask about how the photo was conceptualised, and the presidents’ thoughts on the entire process. I’m told that Josh Tulloch, president of Lady Margaret Hall’s JCR, conceptualised and organised the shoot. Manish affirms that he was “really up for it because it seemed like a really quick way to make an impact”. “The way the photography and the set up were done was very professional, which I think is a small part of it – when you compositionally see the two together, it hits you quite hard”, Carolina adds. “The reach it was amazing. 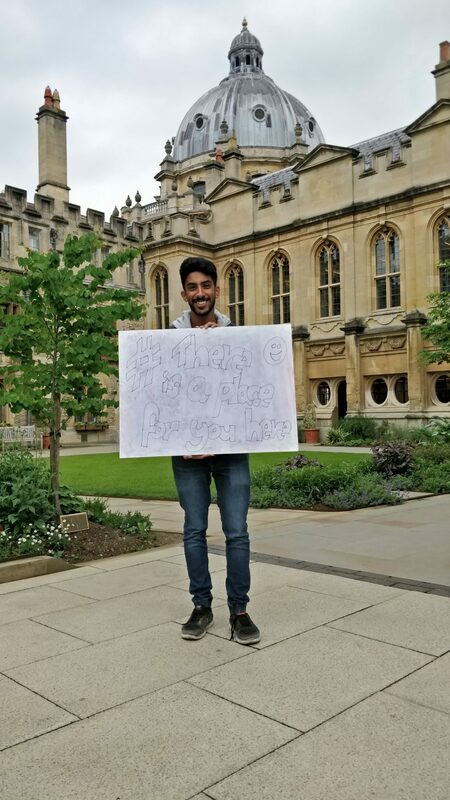 One of the best things I heard was that Farheen [the former VP Welfare & Equal Opportunities officer at Oxford SU] said that someone had actually contacted her after she had seen this photograph, asking about how she could apply to Oxford. 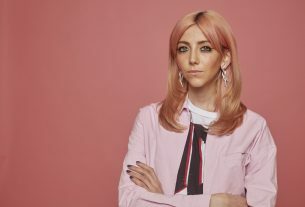 You think it’s just a picture and a statement – as much as it’s revisiting and revising history, it’s also projecting the image of Oxford forward”, she adds. Ebruba continues, discussing the notion that “[w]hat it symbolises, to the various powers that govern Oxford is as important as the impact. Occasionally, when access initiatives happen, there’s a certain amount of wanting to push the blame. I think that to have something as materially powerful as the photo – and the fact that it actually motivated some people to want to apply and come to a place and see themselves here – demonstrated […] that there is more that can and should be done in terms of changing the image at Oxford. The way it looked 30 or 40 or 100 years ago doesn’t hold as much sway over the university now, as it did back then”. It’s important to realise that despite and because of the impact of these initiatives, the JCR presidents are also full-time Oxford students, and that the presidents I’m speaking with today alongside many of their peers (myself included) do belong to minority groups. Carolina is fast to recognise that a network of student organisations such as the ACS “do forge a strong sense of belonging. But, I’d say at the same time, you do have moments where you are kind of aware of the fact that you’re looked at a certain way”. Ebruba recalls a conversation he had with another JCR president, remarking on the notion that “whether you like it or not, you do represent [the] minority you belong to on some level […] People are looking at you and making a value judgment based on how you comport yourself in public, and I think the increased visibility that comes with that is something that a lot of people struggle with”. Ebruba continues, admitting that “It’s a little intimidating at times […] I did a fair bit of access work with the ACS in my first year and through an Admissions Office”. On the current access landscape, he adds that it’s crucial to “[make] Oxford a more hospitable place for these people once they arrive”, and not just through the preceding process. “With this position, I have a chance to contribute to making Oxford a better place to exist in and move through as a person of colour”, he says. Carolina continues, providing insight into the various procedures and protocols JCR presidents often move through when implementing initiatives. “There are certain steps you have to take, but it’s kind of about balancing that responsibility and also the massive effort it takes to get anything through – the REACH scholarship for example, which our JCR put through”. Manish adds: “So I think the biggest thing that [the role] does is it sort of shows – and I hope I’ve done this – is that when you get into a position of power as a person of colour, it’s not just because you’re a person of colour or a token, but because you can create positive change. You do hear a lot about the great work that all the JCR presidents are doing […] Such a big part of admissions is encouraging people to flourish and believing that they can flourish”. To counterbalance, we do keep some time discussing current opportunities to improve the access landscape at Oxford. Ebruba mentions the importance of bringing younger students to Oxford and a centralised access system; Manish in turn recommends mentorship but recognises its resource-dependence, though he’s altogether hopeful about the willingness that exists within the student community. I mention the notion that detractors could argue that visibility initiatives – such as the #PresidentsOfColour photo – are less effective and meaningful than concrete access schemes. Manish acknowledges that “It’s probably both – but there also needs to be more done on the access front. I still do think that’s happening, so if there are any detractors I’d refer them to what we’re currently doing”. Ebruba responds, noting of some specific comments on the #PresidentsOfColour photo that questioned the emphasis on diversity as misplaced. “There’s some anxiety about Oxford being diverse all of a sudden – but it’s an anxiety that people of colour or women or LGBTQ+ individuals would experience, and it punctuates our entire existence here. It’s not that I want for that anxiety, but I want for, through these experiences and through increased visibility, people to understand that the way things are and the way things ought to be are completely separate things. Making space to make Oxford more diverse isn’t at the detriment of everyone else. It’s levelling the playing field”. In Carolina’s own words, it’s a “positive disruption”. The current cohort of freshers, who arrived little over a week ago, come here knowing Oxford’s dismal record on access, as outlined in the Annual Admissions Report. I ask the presidents for any words of advice to the newest members of the community. The evolution of marriage and civil partnerships – a welcome change?